After having a number of cheap shredders burn out on me I decided to take the plunged and by a reputable make. 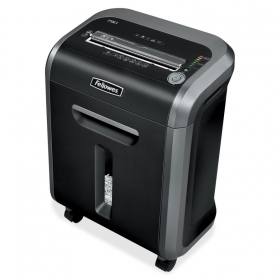 I feel I have make made the right choice with this shredder, i can't fault it. With the safety cut out bar its safe around the children with my office being at home and you can't over load it with the sensor measuring the thickness of the paper.Very quiet compared to my previous shredders and will hold a good amount before the light indicates that its full. Already recommend it to a couple of my friends who run there business from home.